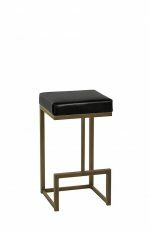 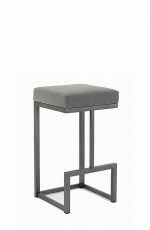 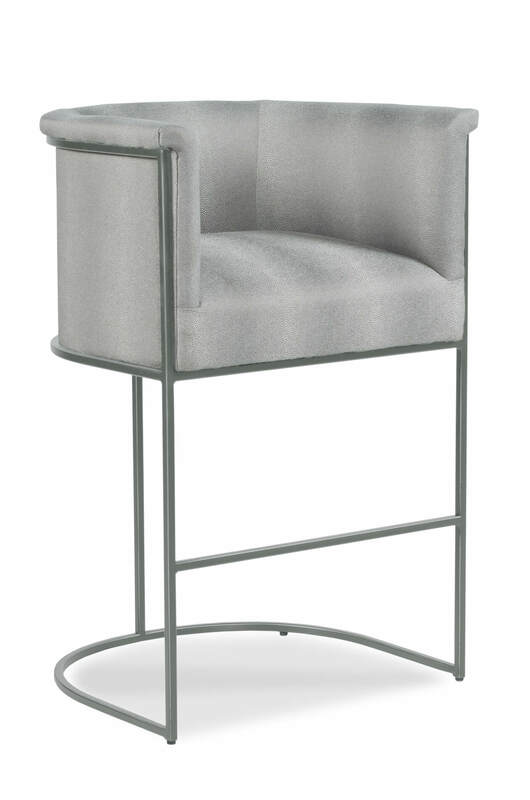 Buy Nolita Modern Upholstered Stool in Bronze or Nickel - Free shipping! 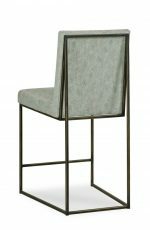 Bronze finish is out of stock until May 10. 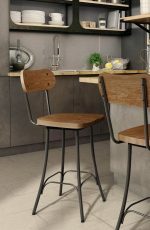 Escape from the worries of the day in the Nolita bar stool by Fairfield featuring a thick curved back and seat cushion that envelopes you like a hug and a modern sled-style metal base. 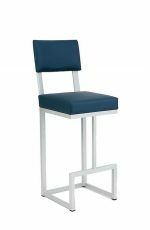 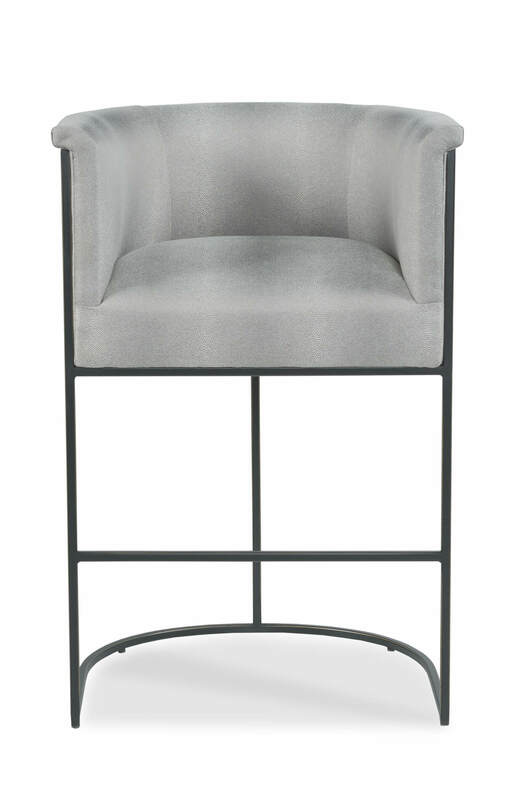 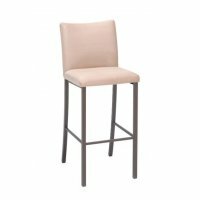 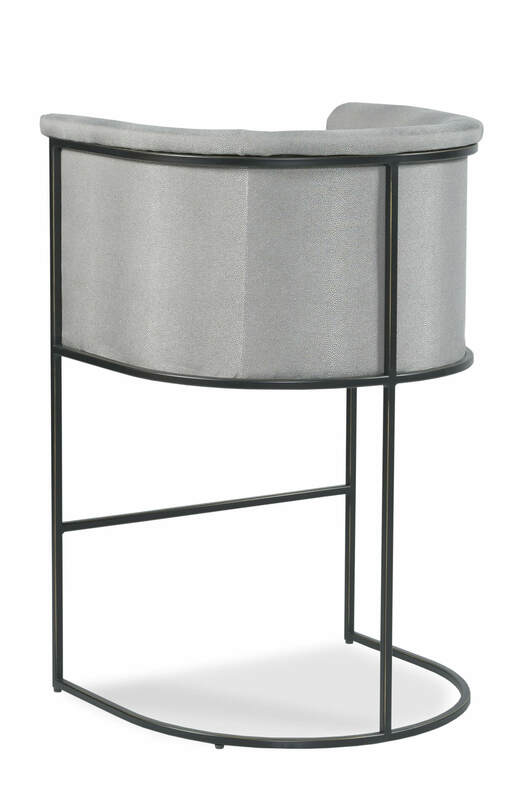 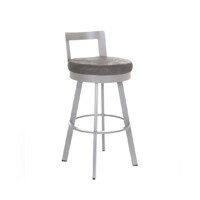 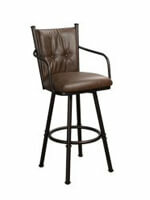 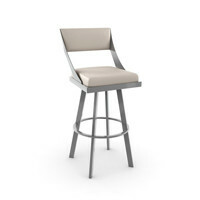 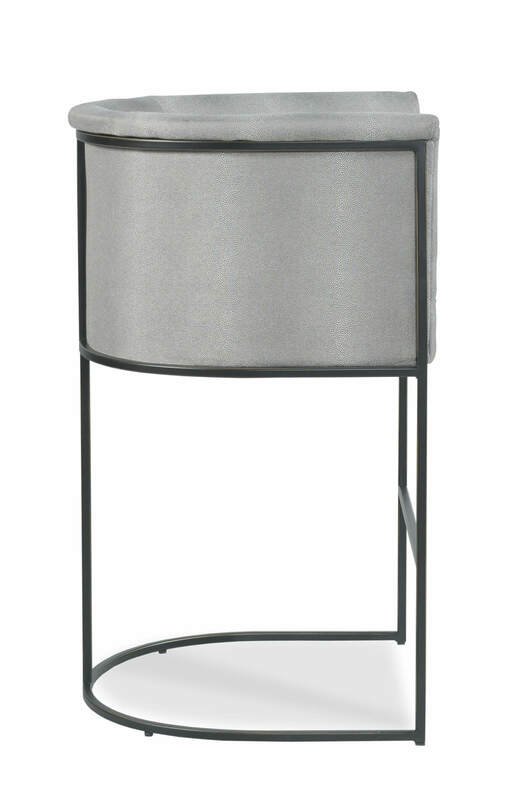 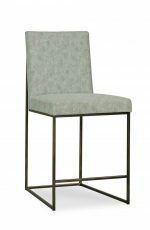 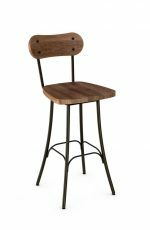 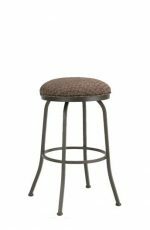 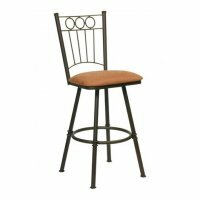 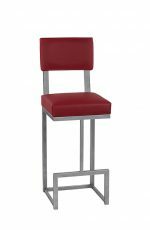 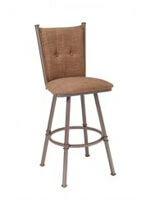 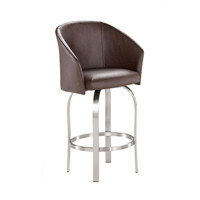 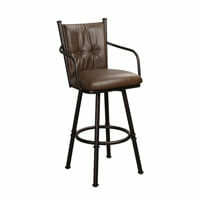 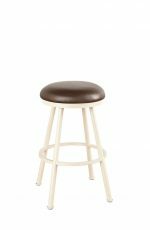 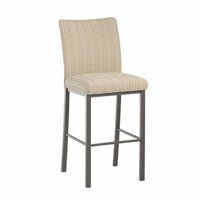 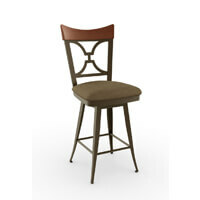 Perfect bar stool for those who love modern, without sacrificing comfort! 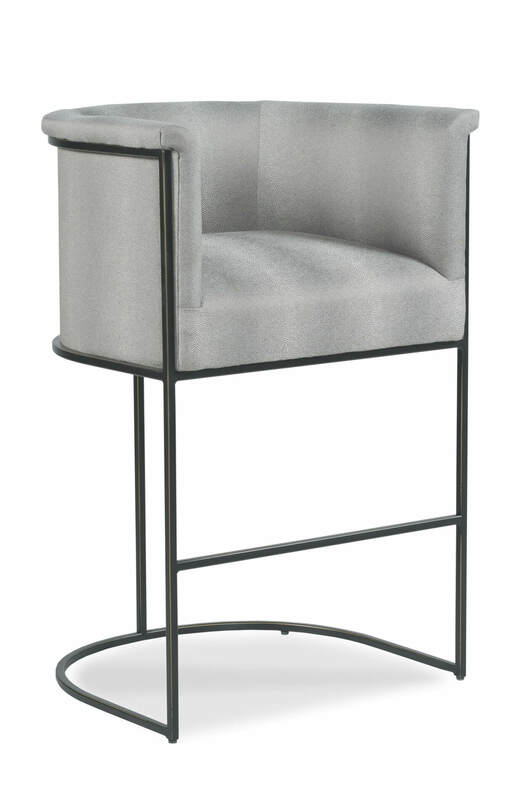 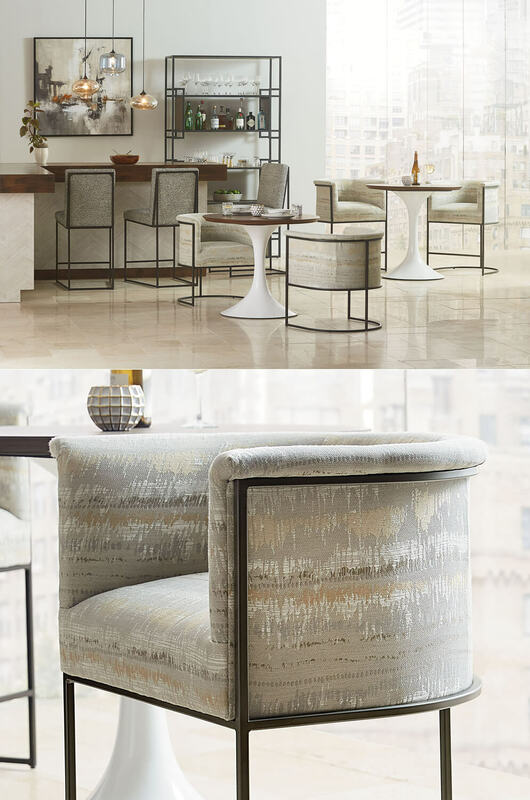 • For the Nolita Modern Curved Barrel Counter Stool, you will need 2.75 yards per chair.